Note: This is an archived entry. The next Amsterdam SAIL event will take place in August, 2020. 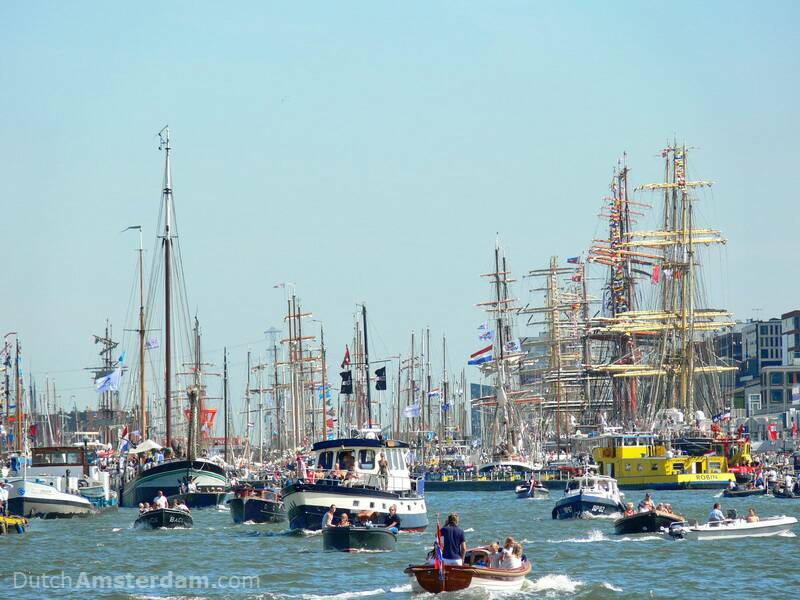 Today through Sunday August 23, Amsterdam is home to SAIL 2015 — the largest public event in the Netherlands. 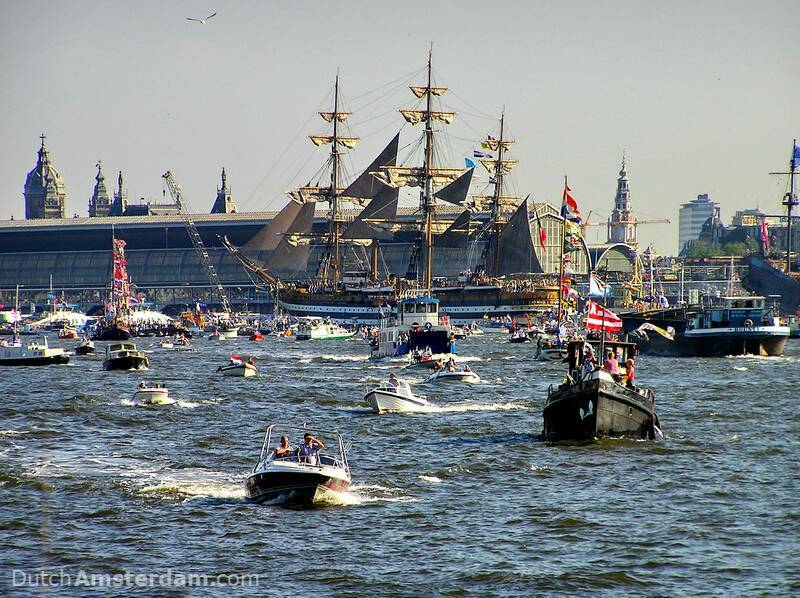 Matter of fact, SAIL Amsterdam is the largest free public event in the world. Some 1.7 million visitors are expected to attend this year’s edition. While there is a full program, the highlight is the presence of at least 44 tall ships from around the world — thirteen of which will visit the city for the first time. 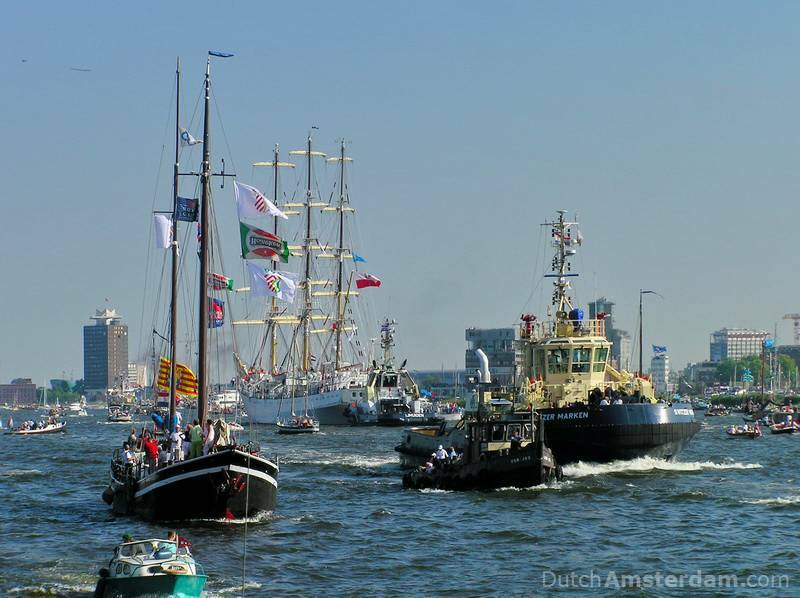 Aside from the tall ships, there will be five Dutch marine vessels, 11 marine training ships from other countries, and more than 600 marine heritage vessels. Accompanied by thousands of small boats — from sloops and dinghies to yachts — these ships will sail today, Wednesday, August 23, from IJmuiden at the North Sea coast via the North Sea Canal to the IJ — the body of water on the north side of Central Station. 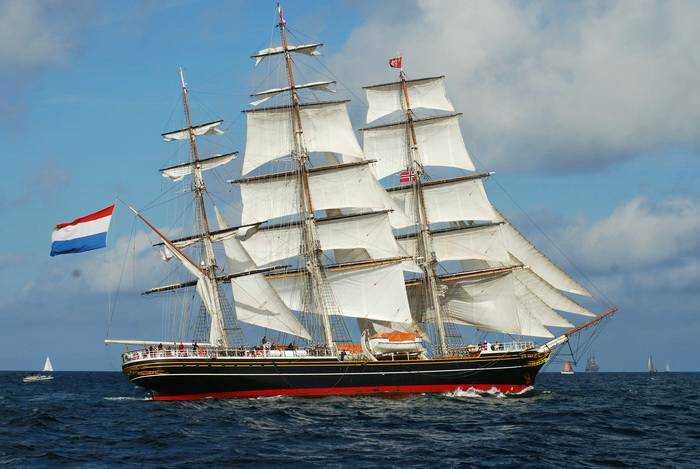 Around 2 pm, when the first tall ship — the clipper Stad Amsterdam — arrives at the IJ, the last ship in the 12 kilometer (7.5 mile) parade will only just have left IJmuiden and will moor three hours later. After the Sail-In Parade, the IJ will be home to a flotilla of tall ships, maritime heritage, and naval ships. There are a host of activities and events, spread out over a large area [map]. You can also visit the tall ships. 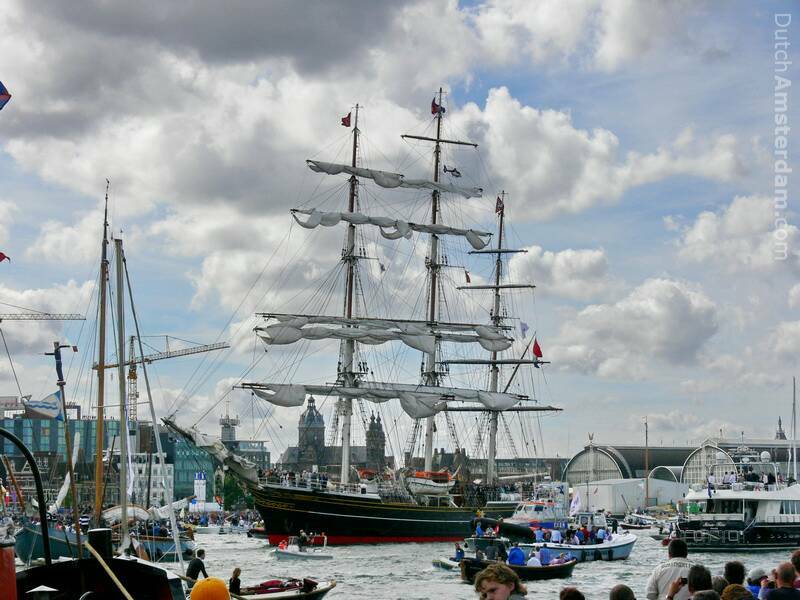 Held every five years, SAIL showcases Amsterdam’s maritime history. The inaugural edition took place in 1975 as part of celebrations marking Amsterdam’s 700th jubilee. This year’s event, the ninth, will be the largest thus far. Most Amsterdam Tourist Guide Books all but ignore the river IJ. In doing so, they ‘cheat’ tourists out of experiencing one of Amsterdam’s top attractions. There is so much to see and do on and around ‘het IJ‘ (we’ll show you how to pronounce that).